Tributes have been paid to Holywell councillor Bernard Pidcock MBE, who died at the weekend. Northumberland has won Gold at the British Travel Awards and picked up the coveted title of “Best UK Holiday County/Destination of the Year”. ​Northumberland County Council have published revised budget proposals for 2019-2022 following Cabinet approval. 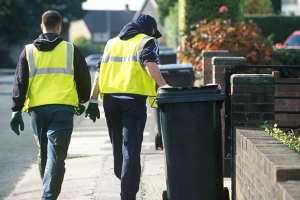 Changes to bin collection days for more than 27,000 residents are being introduced in the county. The deadline is looming for community groups, charities and young people in the county to apply for funding from a much valued community grant scheme. Officers from Northumberland County Council's Housing and Public Protection Service today (August 8) executed a warrant on an address in Bedlington to seize over 20 items including televisions, hifi systems, loudspeakers and musical instruments which were being used to cause a noise nuisance to neighbours both day and night. Two new Speed Indicator Display (SID) signs have been introduced on the C405 in Bedlington following a fatal road traffic collision in the area last year. 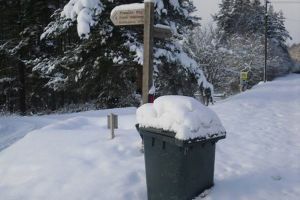 Plessey Woods Country Park will be closed to vehicle access between Tuesday 10 and Thursday 12 of July to allow for essential repair work to be carried out to the main access road. A local referendum is set to be held on the Stannington Neighbourhood Plan. Exactly a year after local elections saw a change in administration in Northumberland, the leader of the County Council says he is proud of what’s been achieved over the past 12 months, with ambitious plans for the future. 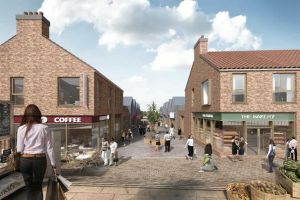 Plans to reinvigorate Bedlington town centre are moving to the next stage following funds being released by the board of Northumberland County Council's regeneration company for a multi-million pound redevelopment.